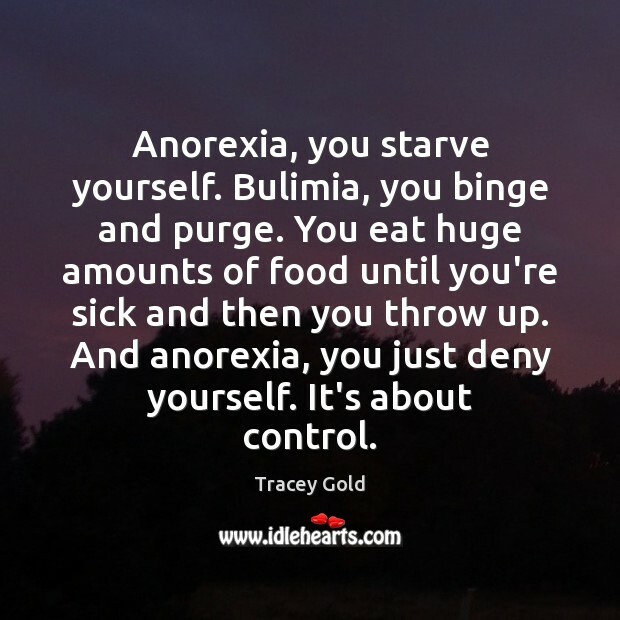 Quotations about Anorexia And Bulimia. Quotes to stimulate mind and drive action! Use the words and quote images to feed your brain inspiring things daily! 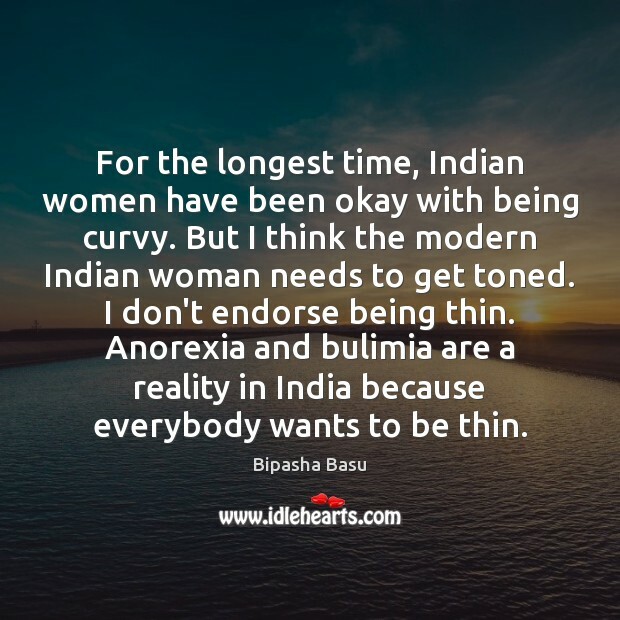 For the longest time, Indian women have been okay with being curvy. But I think the modern Indian woman needs to get toned. I don't endorse being thin. 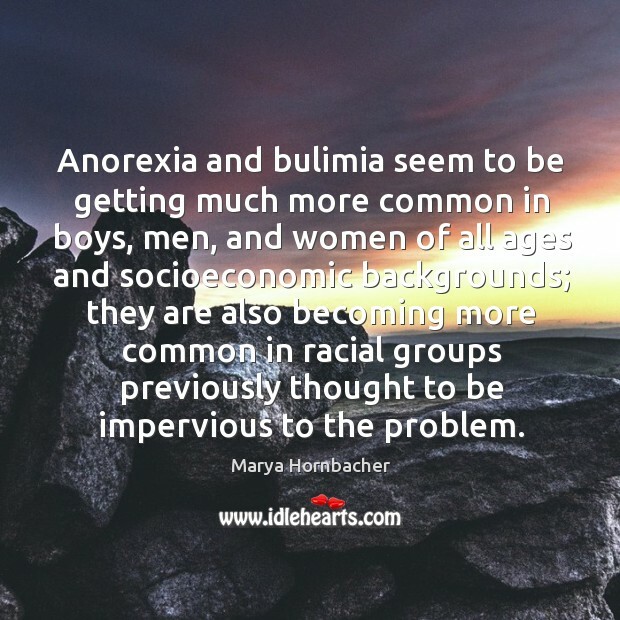 Anorexia and bulimia are a reality in India because everybody wants to be thin. 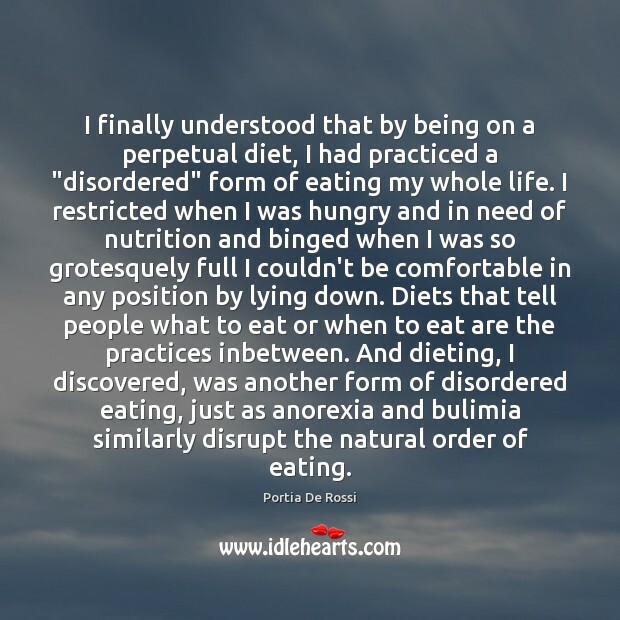 I finally understood that by being on a perpetual diet, I had practiced a "disordered" form of eating my whole life. I restricted when I was hungry and in need of nutrition and binged when I was so grotesquely full I couldn't be comfortable in any position by lying down. Diets that tell people what to eat or when to eat are the practices inbetween. 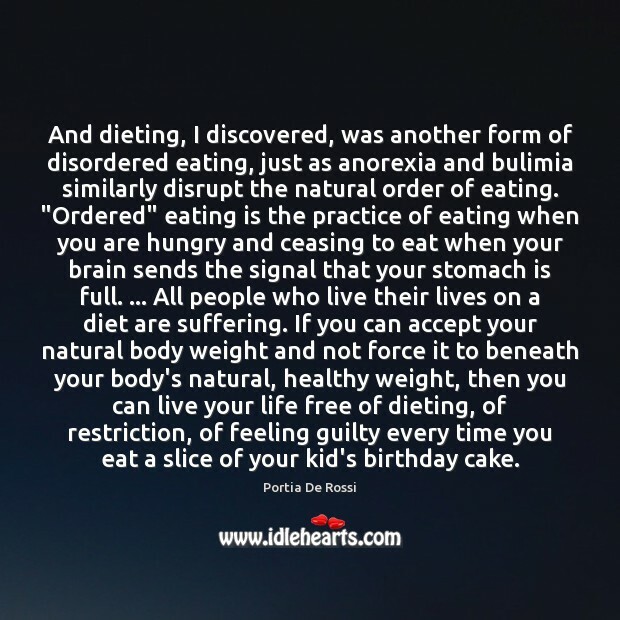 And dieting, I discovered, was another form of disordered eating, just as anorexia and bulimia similarly disrupt the natural order of eating. 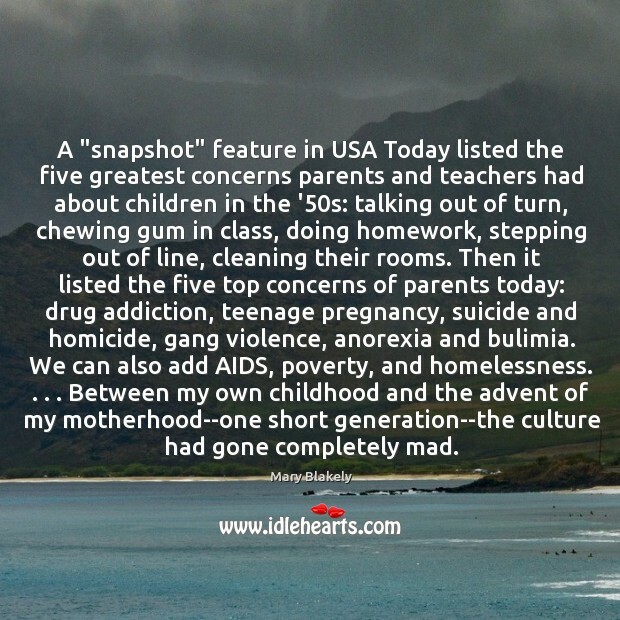 A "snapshot" feature in USA Today listed the five greatest concerns parents and teachers had about children in the '50s: talking out of turn, chewing gum in class, doing homework, stepping out of line, cleaning their rooms. Then it listed the five top concerns of parents today: drug addiction, teenage pregnancy, suicide and homicide, gang violence, anorexia and bulimia. We can also add AIDS, poverty, and homelessness. . . . Between my own childhood and the advent of my motherhood--one short generation--the culture had gone completely mad.